I’m back. I had a gentle introduction to the English weather after a month of constant thirty degree daytime highs. We stopped at Hong Kong to changes planes. The temperature had dropped ten degrees and, just to make me feel really at home, there was a grey mist hanging over the water next to the airport. Now we’re back at the marina dodging puddles, squelching through sodden grass and wondering where the marina ends and where the landscaping begins. I understand that there’s been a shower or two while we’ve been away and a little more than the expected gentle breeze. The boat’s chimney and coolie hat blew off on a particularly breezy day but was rescued by neighbour and fellow Calcutt worker Steven Cox (Thank you Steve). He also re fixed the cratch cover after the wind threatened to carry it across the marina on a couple of particularly unpleasant days. Other than that, the boat was fine. Twenty eight days away was fourteen days longer than my previous maximum time away from the boat when I visited my parents in Australia two years ago. As a boat owner you have the same worries as a house owner when you’re away from the property for any length of time plus the worry about whether the mooring lines have come undone, whether there’s been any water ingress or whether there’s been any unwanted attention from a ne’er-do-well taking advantage of hatches, doors and windows which are often far more easy to force open than they are in a bricks and mortar home. During moments of unusual and unwelcome paranoia I also had visions of returning to the mooring to find the boat, my home, no longer there after being spirited away by crafty thieves. Of course, the boat was still there in the more or less the same condition as it was on the day we left. I say “more or less” because a phenomenal amount of dust settled in just four weeks much to the disgust of the Queen of Clean, and the boat was unpleasantly but not dangerously cold. We arrived back at the boat at midnight after twenty seven hours of solid and exhausting travel including a five hour wait at Manila airport and then a three hour wait at Hong Kong. The temperature was just above freezing and although the two Dimplex greenhouse heaters had done their job protecting the boat’s delicate pipes and pumps, the boat was very chilly. The first job was to get the fire going. I realised that this would be a priority before we left so there was a plentiful supply of Zip fire lighters, dry oak twigs for kindling and coal to pile on top once the oak was burning. Within five minutes the fire was roaring, half an hour later the boat was noticeably warmer, and five minutes after that we were in bed. Saturday was spent trying to do something useful but failing miserably due to jet lag. Today, Sunday, I’m almost back to normal so it’s back to the normal Sunday routine of an early rise and five or six hours sitting in front of my laptop putting the week’s newsletter together. I’ll dive straight in to the deep end, the deep end of the toilet bowl in this case, and give you some more information about one of boat owners favourite topics of conversation, toilets. If two narrowboat owners meet, sooner or later the subject of toilets will be discussed, often passionately and usually at great length. Toilet talk is not something which bricks and mortar home owners usually indulge in but the type of toilet installed on your boat can have an impact on how much you enjoy narrowboat ownership and how much the boat costs to maintain. I wrote this post about narrowboat toilets a few years ago. I knew enough at the time to write a quick post about the pros and cons of the two main types of narrowboat toilets, the pump out and the cassette toilet. Long term narrowboat owner and continuous cruiser Allan Cazaly on narrowboat Pengalanty was quick to mention that I had omitted a third type of toilet sometimes installed on boats which, although quite expensive to purchase, has very low maintenance costs. A composting toilet, if installed and maintained correctly, can provide years of low cost and virtually odourless waste disposal. However, Allan noticed that his own composting toilet failed to work correctly when he first installed it. Now he has tweaked the system, he’s very happy with the way it operates and wouldn’t want to change it for anything else. After flying back from the island of Negros to Manila, spending three days there showing Sally’s sister and brother in law the sights, then spending three days on the paradise island of Boracay before a final night in Manila before the painful flight home, I’m now back on James, my permanent holiday home. The last week’s travel has played havoc with my holiday blog writing. We’ve spent sixteen hours in the air, fourteen hours waiting in terminals and eight hours getting to and from the various airports. I tried to do as much as I could while I was waiting for flights but, to tell you the truth, my heart really wasn’t in it. I’ve managed to finish the third part of the blog (link below) and write a little of the fourth part. I’ll finish the fourth and final part some time next week. 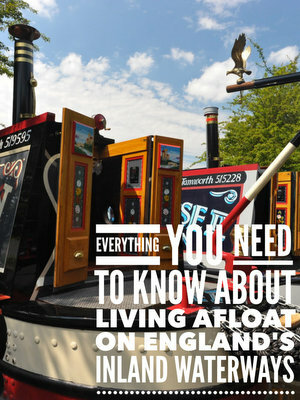 Here are part seven and part eight of Brian Colling’s excellent Sea Otter narrowboat build blog. In case you’ve missed them, links to the first six parts are below. Don’t let othersdo all the hard work. If you are a boat owner, or if you have useful tips for boat owners, please email me with them here. Have You Had Problems Contacting Me? I pride myself on always answering emails I receive, usually within an hour or two of receiving them. I was upset yesterday when I received an emailed rebuke pointing out that I hadn’t replied to a message sent to me the previous day via the site’s contact form. My site’s tech guys looked into it for me this morning and found some malicious code which had hijacked the mail server I use. Along with the genuine messages waiting to be sent to me were 190,000 spam emails. These spam messages will probably have been removed by the time you read this newsletter but if you have recently sent me a message via the site, I’m afraid you’ll need to send it again. Just to make absolutely sure it gets through, please send it to my personal email address which doesn’t go through this particular mail server.